The employability of music graduates is a hot topic internationally. This short article proposes that we should look at employability in a new light, using the resources and expertise contributed by dozens of educators. Music is central to every nation’s culture, international standing and social wellbeing. However, musicians—who work in multiple music roles from performance to teaching and sound engineering—often struggle to establish and sustain their careers. The vision presented in this article is that music students graduate as capable and informed individuals, professionals and social citizens. Music graduates will define success for themselves and base their definition on their values, strengths and interests. High-school and university students will have learned to define a musician as “someone who works in one or more specialist roles” and a performer as a performer! In short, they will know that performance-based exam systems and rewards address only one aspect of a musician’s practice. Music graduates will understand that their employability will be sustained only through explicit, career- and life-long identity and employability work. Because of this they will prepare for a holistic practice in which multiple roles are valued. They will meet their potential because they know how to find, create and sustain meaningful work across the career lifespan. This is a realistic and positive definition of employABILITY for musicians. EmployABILITY thinking enables educators to embed employability within the curriculum, motivates students to shape their future lives and careers, and generates the datasets needed to understand students’ thinking about their studies and their future. Lack of time due to overcrowded curricula, content-heavy programs and the perception that embedding employability means to do more. Lack of resources: educators who wish to embed employability have had to develop appropriate teaching resources and to understand the theoretical basis of that work. Lack of expertise. Few music educators are careers professionals and a nuanced understanding of the music industry is an unrealistic expectation. EmployABILITY thinking is a strength-based, metacognitive approach delivered in the existing curriculum by the non-expert. It prompts students to understand why they think the way they think, how to critique and learn the unfamiliar, and how their values, beliefs and assumptions can inform and be informed by their learning, lives and careers. The resources were developed by multiple educators and they have been brought together as a free resource for educators and students. As music educators our aim should be to engage every music student in employABILITY thinking, which is explicit and creates cognitive links. EmployABILITY touchpoints are places in the existing curriculum where students make links between their learning and their future lives and work. The touchpoints need no extra time, resources or expertise. Common touchpoints include a reflection, a teamwork assignment, giving or receiving feedback or having a careers discussion. Teachers are by far the most important and influential people in students’ journeys and we are best positioned to develop employABILITY thinking. The following steps have already been adopted by a community of educators who are embedding employABILITY thinking into their classes. To understand students’ confidence and thinking, community members with ethical approval are analysing anonymised student data and planning to research students’ development longitudinally. Communicate a definition of employability which reflects the realities of being a musician. Engage students in employABILITY thinking once per unit (course or module) using an employABILITY thinking touchpoint. In studio settings, encourage students to understand the context of their repertoire: when was the work written? Why, and for whom? How was the composer making a living at that time? Encourage post-secondary students to create a personalised employABILITY profile each year using the online self-assessment tool. If you are interested, assemble (or join) a team of researchers to analyse and share the anonymised data. Embed the approach into a new unit (course or module) every term or semester. Link individual initiatives to create an integrated program known as “Compose your Future”. Embed employABILITY thinking into assessment at the next program review. Share your own good practice with the community. Visit the educator website for all resources including the music toolkit, and refer students to the student site where they can access the validated measure (online tool) and around 70 student resources. Dawn Bennett invites your comments, so feel free to contribute or share your experience below. Dawn Bennett is John Curtin Distinguished Professor of Higher Education and Director of the EmployABILITY and Creative Workforce Initiatives with Curtin University, Australia. Her research focusses on the development of employability within higher education. 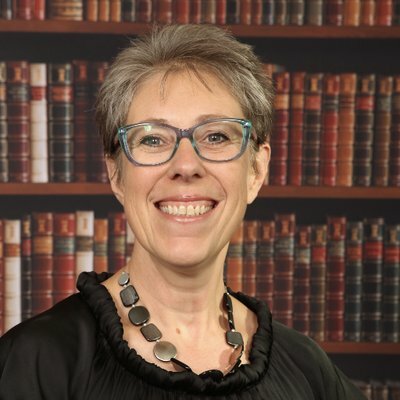 A National Senior Australian Learning and Teaching Fellow and Principal Fellow of the Higher Education Academy in the UK, Dawn is a member of several editorial boards and senior editor of the Routledge-ISME book series. Dawn has served on the boards of ISME and Music Australia and on the ISME Commission on the Education of the Professional Musician. Publications appear at Researchgate.